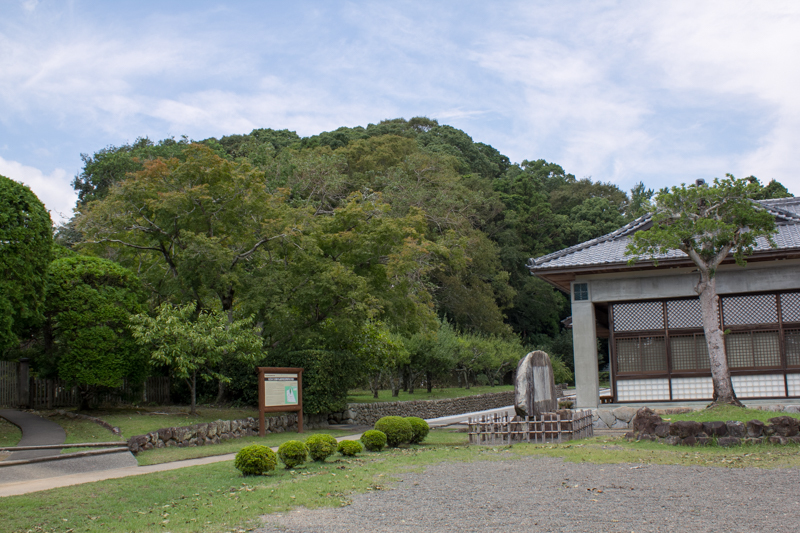 Aki castle (安芸城) is built over Shiroyama hill, one of about 40 meter height from hillside at 2 kilometer north from current Aki city central. 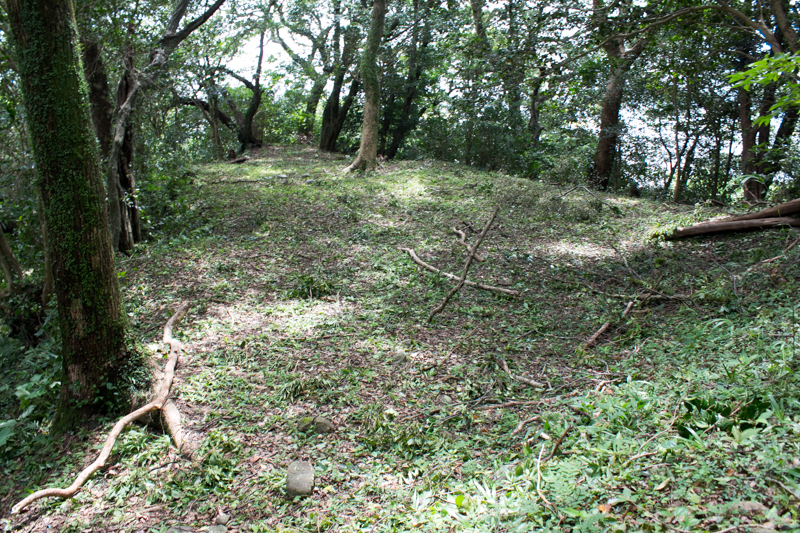 Aki area is a flat area of about 4 kilometer long and 2 kilometer wide spreads along with Aki river, at 20 kilometer east from Kochi plain. A ship like hill stays just beside of the river seems ideal place to build a castle. 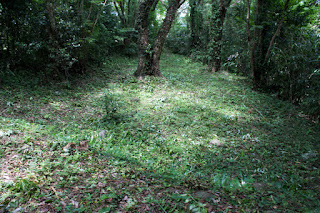 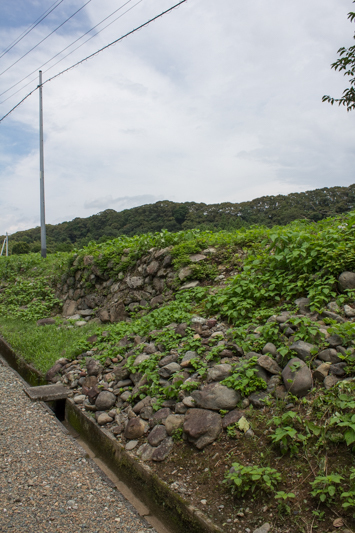 Aki plain is a small one but has a lump size of flat land with a river, and appropriate for cultivation from ancient era. 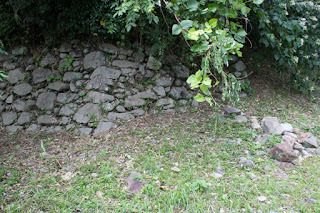 Beside, this area is wholly surrounded by mountains and Pacific ocean, and suitable for protection from outside powers. But this geographic condition also means limited room for expansion, especially compared with Kochi plain area. 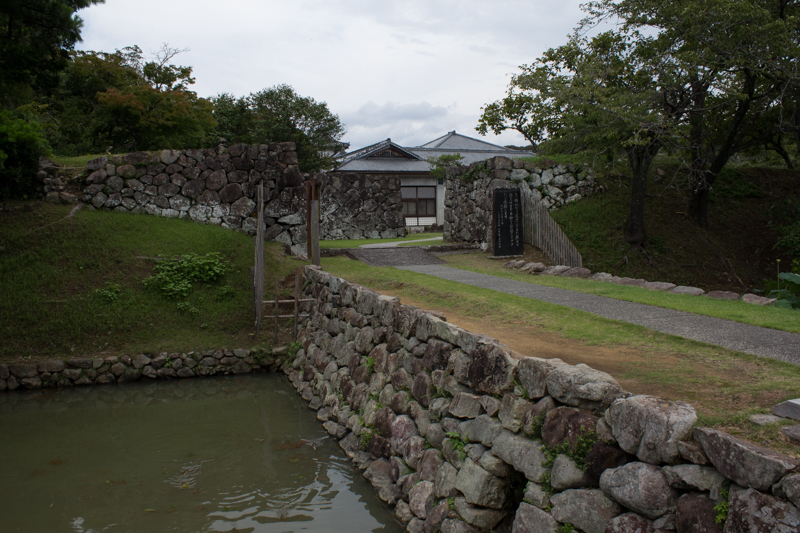 Precise year is unknown but it is said that Aki castle was built by local lord Aki clan in 14th century. 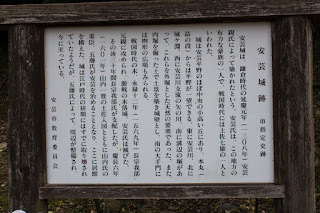 The origin of Aki clan is also not clear but they insisted that they were a descendant of Akae Soga (623-? 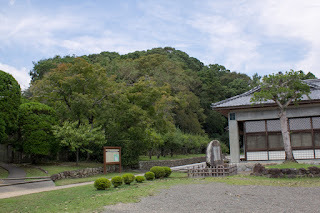 ), an ancient high class noble who was exiled to Tosa province as a result of the battle of Jinsin, an internal conflict between Emperor Kobun (648-672) and his uncle Emperor Tenmu (?-686). 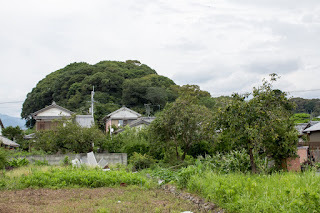 As Tosa province (Kochi prefecture) was separated by sheer mountains from north part of Shikoku island, local lords of the province slightly but steadily grew irrespective to the situation of central area. Under Kamakura Shogunate there were nominal governors appointed by the Shogunate but there was not an effective control and small local lords separately held their territories. 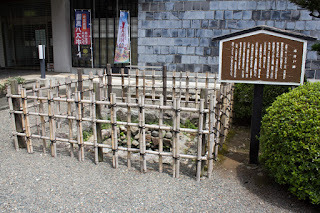 But under Muromachi Shogunate, Hosokawa clan which was the highest class retainer of the Shogunate and held their base at Awa province (Tokushima prefecture) and Sanuki province (Kagawa prefecture), was also appointed as the governor of Tosa province. Aki clan which located at the eastern edge of Tosa province next to Awa province grew through the trade with central area through Hosokawa clan. On the other hand, Aki clan had to participate in the military action of Hosokawa clan which tried to seize hegemony at Kyoto area, and leaders of Aki clan died in such battles. 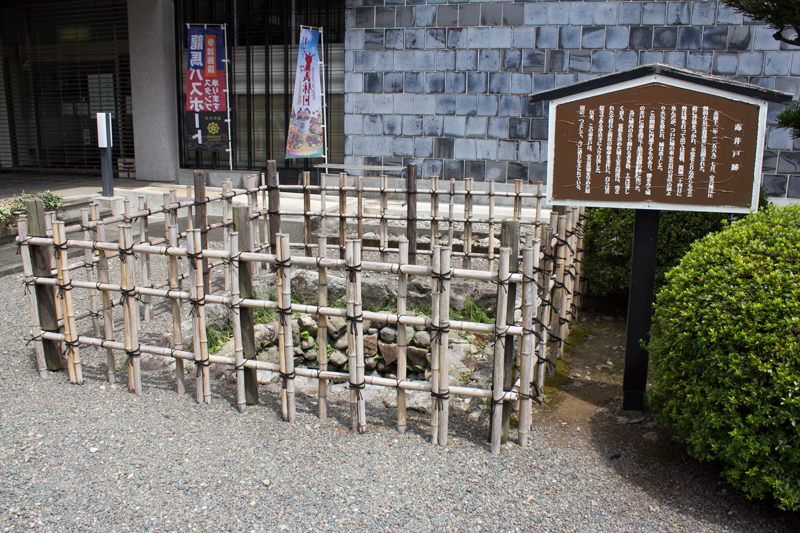 In the beginning of 15th century, Hosokawa clan which once seized hegemony at Kinki area rapidly lost their power because of their internal conflict. 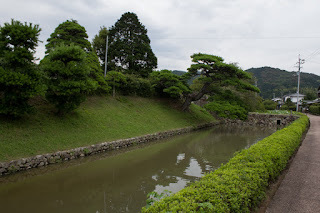 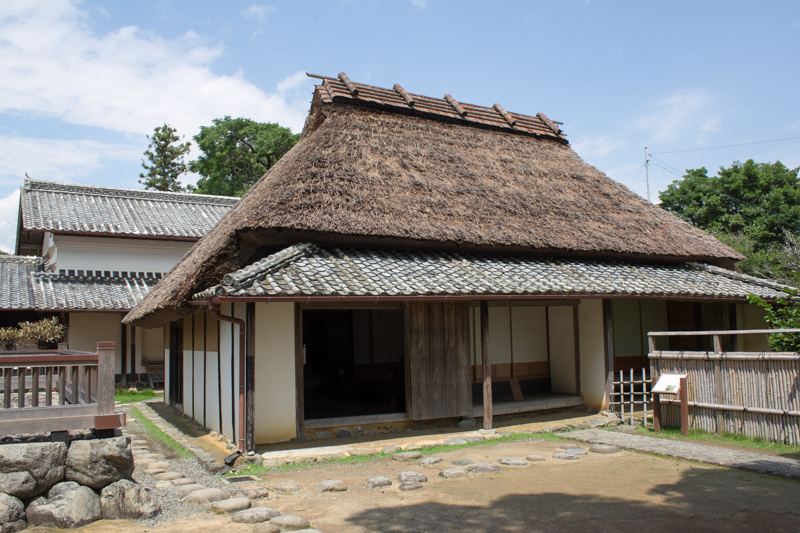 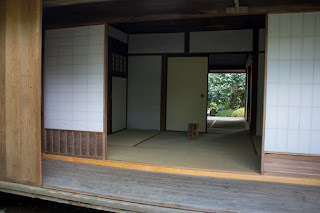 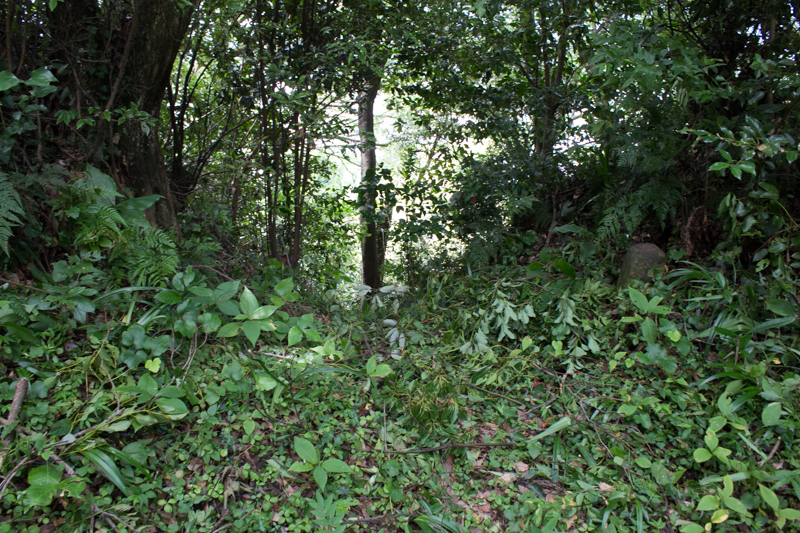 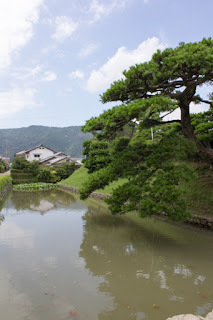 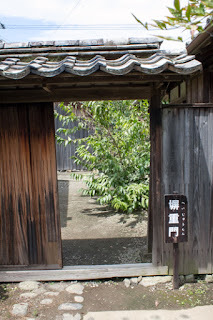 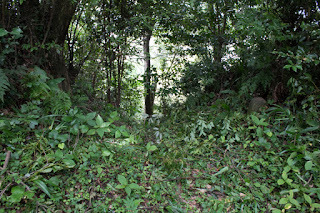 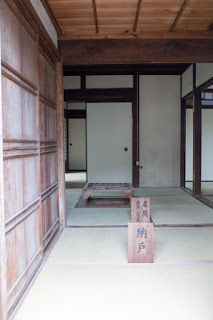 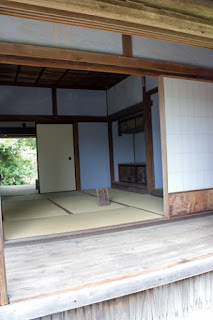 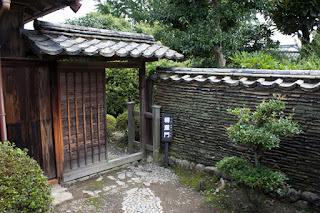 Hosokawa clan did not have power to manage Tosa province any more, and retreated from province. 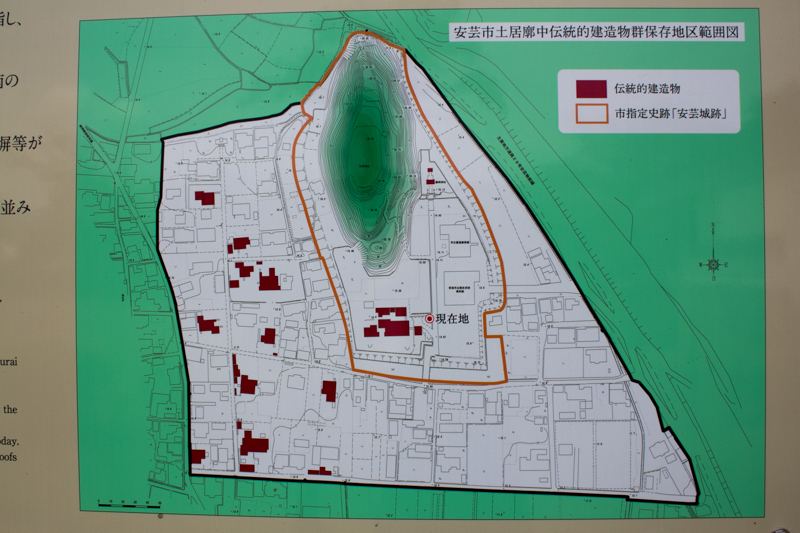 Under such situation, Tosa province entered into the era of disturbance between seven local lords. 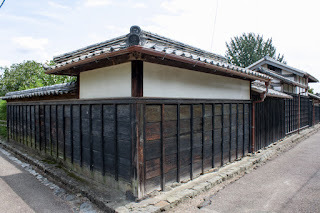 Among these lords, Ichijo clan which resided at Tosa-Nakamura area at the western edge of the province was strongest because of their origin as a highest class noble and wealthy Nakamura town. 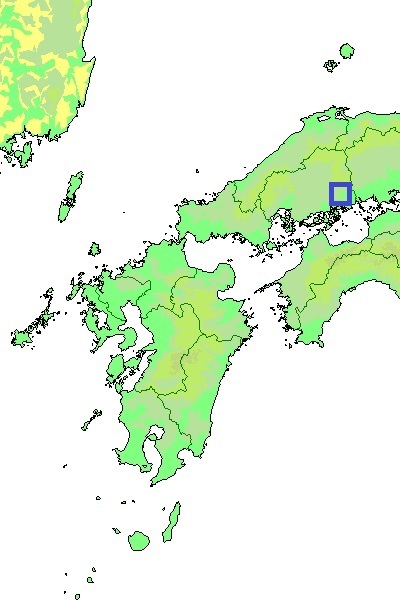 Kochi plain was divided by five clans such as Kira clan, Tsuno clan, Chosokabe clan, Kosokabe clan and Motoyama clan, and Aki clan separately stayed at Aki plain. 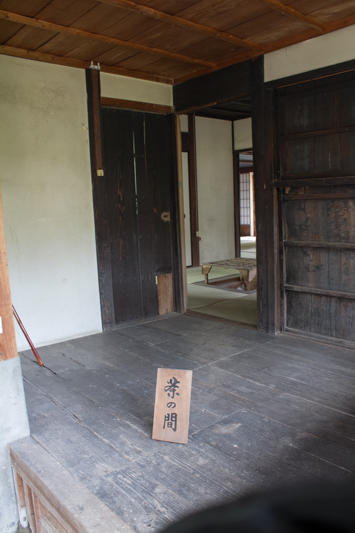 After fierce battles, these seven major lords except for Ichijo clan were divided into winner and loser. Aki clan suppressed Kosokabe clan which located at the west of the territory and tried to expand into Kochi plain, but had to face with Chosokabe clan which was originally the smallest of the seven lords but rapidly grew their power under Kanetsugu Chosokabe (?-?). 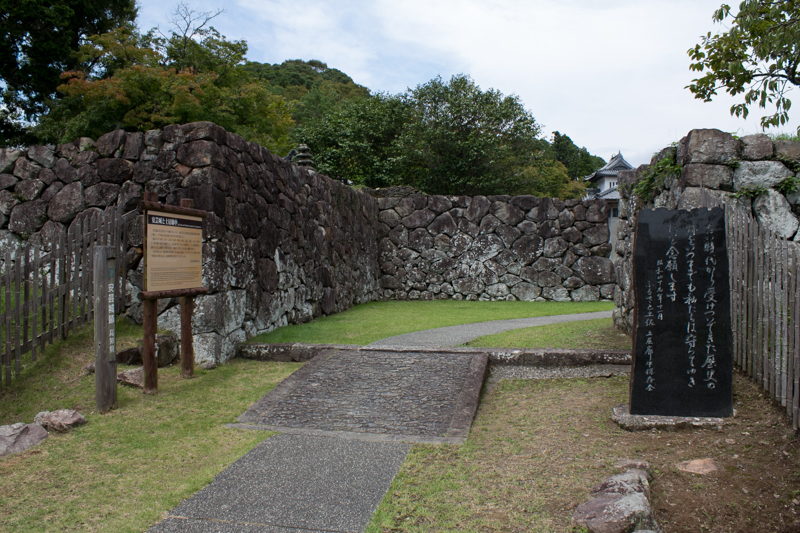 But in 1508, Kanetsugu Chosokabe arouse the antipathy of other lords faced the attack of alliance of other lords thus died at Oko castle. 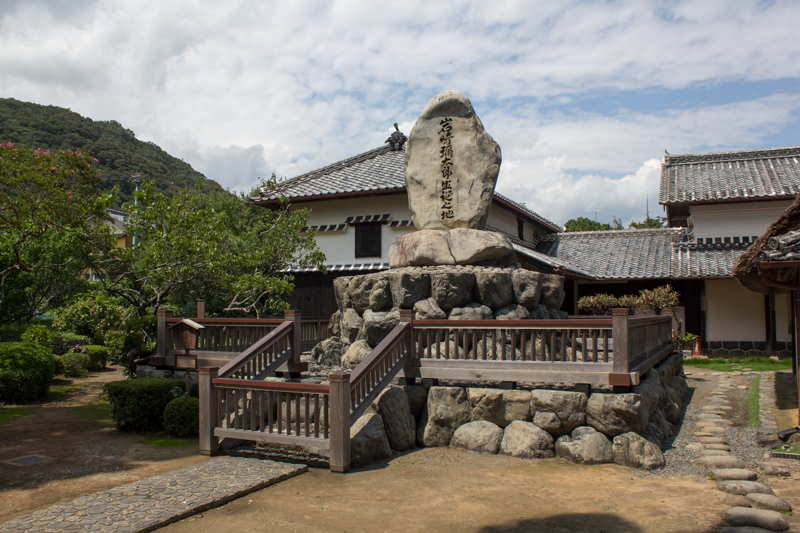 Kunichika Chosokabe (1504-1560) escaped to Ichijo clan and returned to Oko castle under the support of Ichijo clan in 1518. As a first position of seven lords but distant place, Ichijo clan tried to keep the separation of Kochi plain and tried to prevent the unification of the plain. 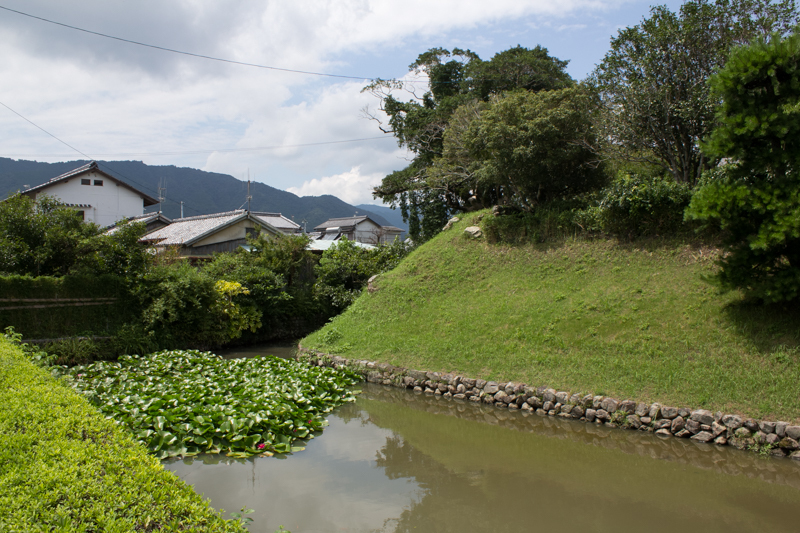 In the middle of 16th century, Motoyama clan and Chosokabe clan became the two strong power of Kochi plain. 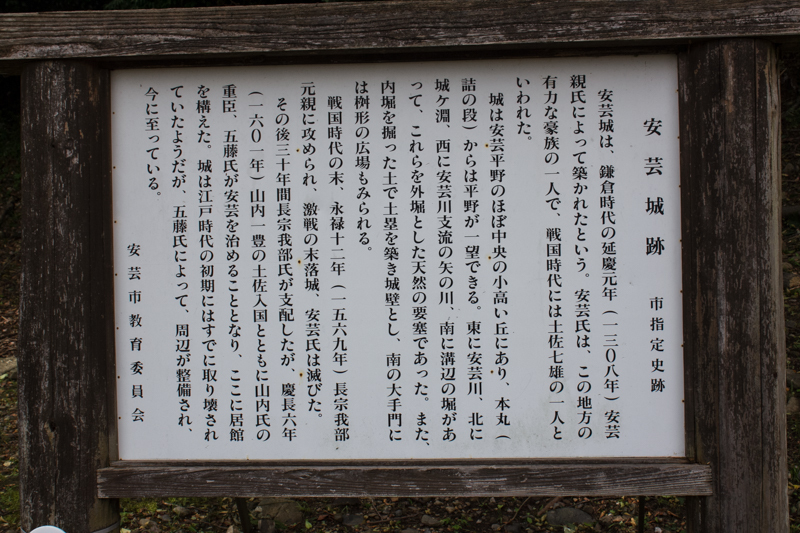 Looking at this situation, Ichijo clan tried to keep Aki clan at their side and let their daughter marry with the leader of Aki clan. 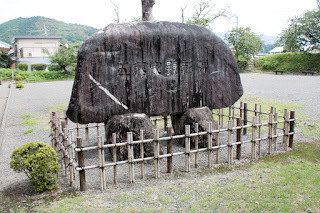 This was a peak of Aki clan through their over 400 years history. 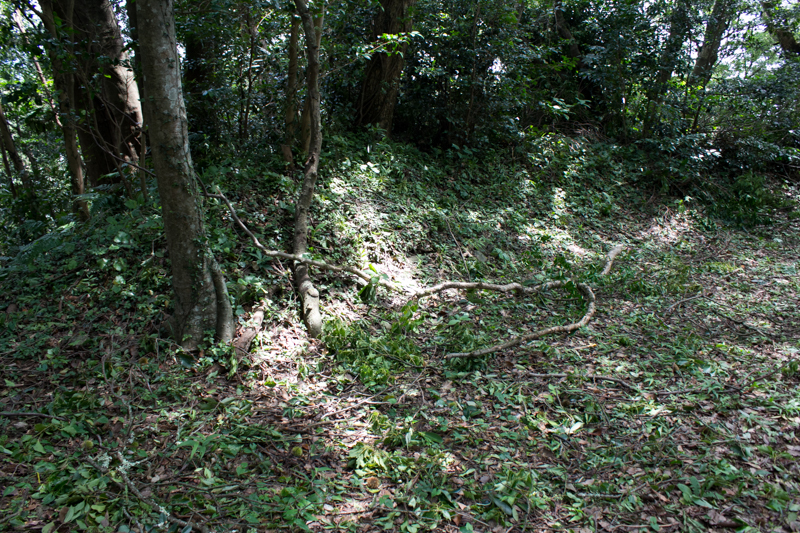 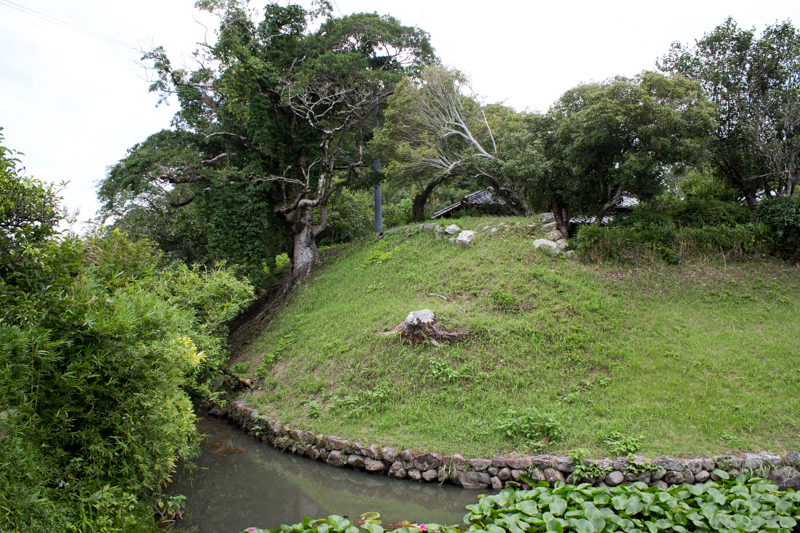 Around this period, Aki castle might be expanded as the main base of Aki clan. 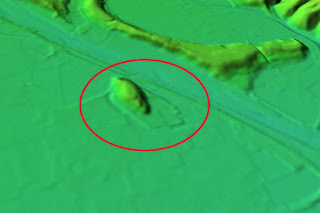 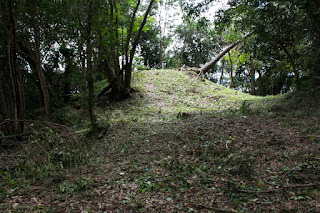 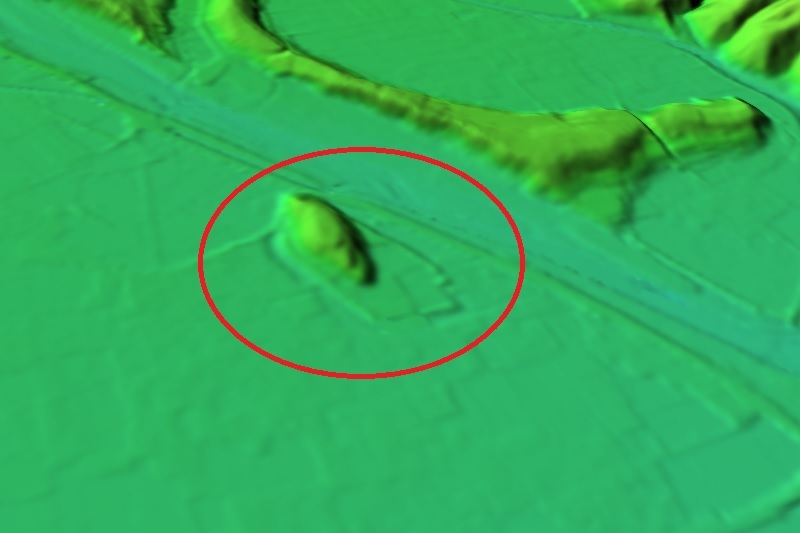 The ship like hill was processed into three areas, the central area at the center of the area and two attached area at both edge of the hill. 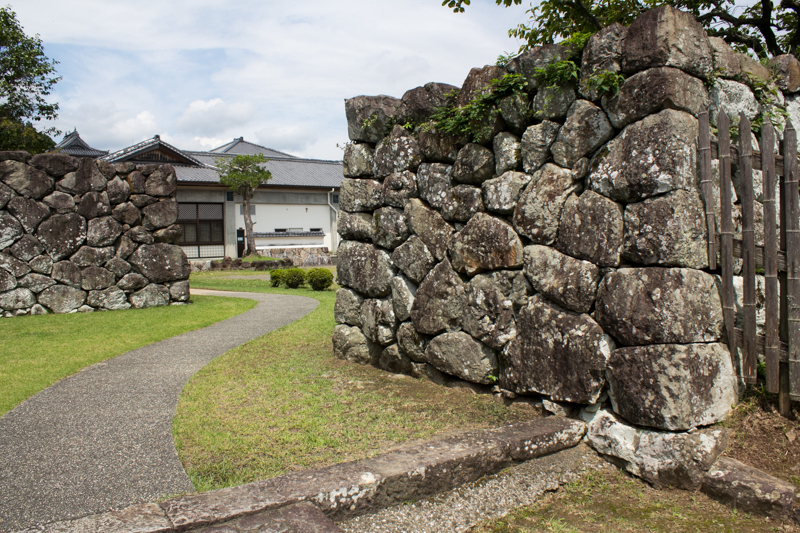 Central area of the castle is a flat area of about 60 meter long and 30 meter wide, equips low height stone wall at its north edge. 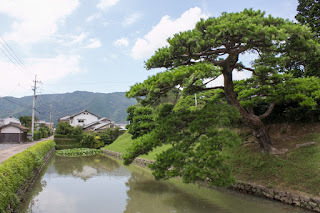 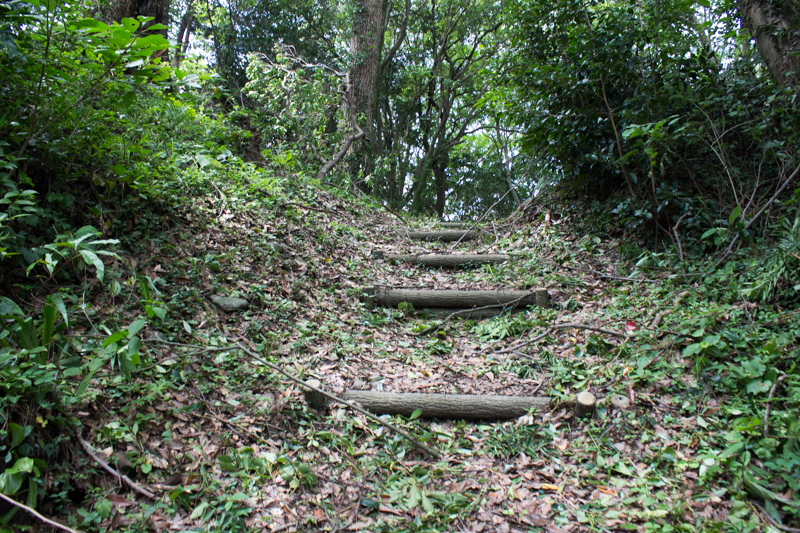 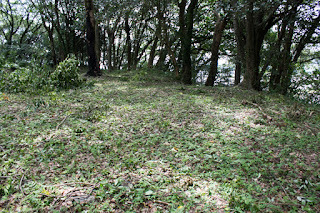 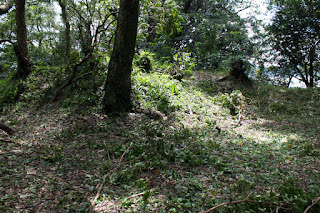 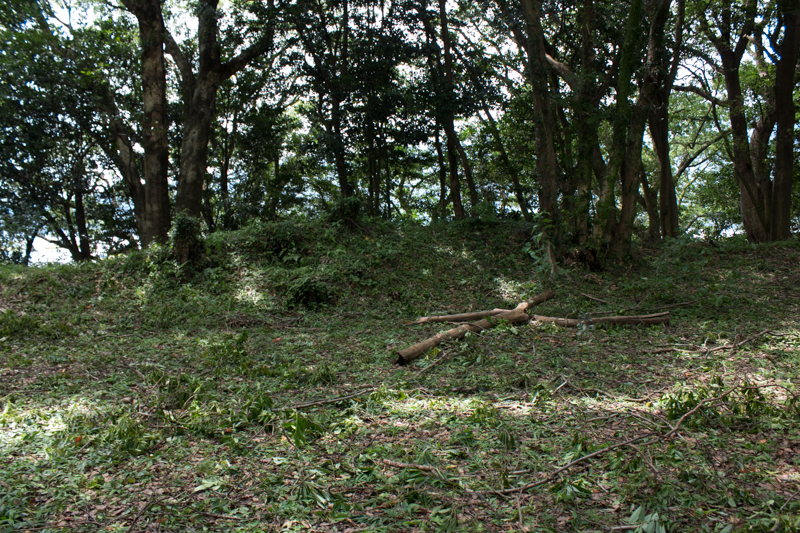 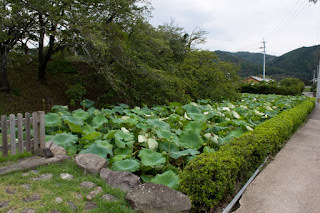 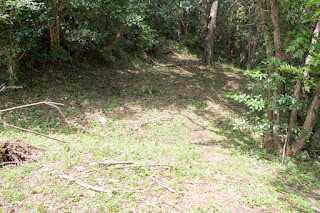 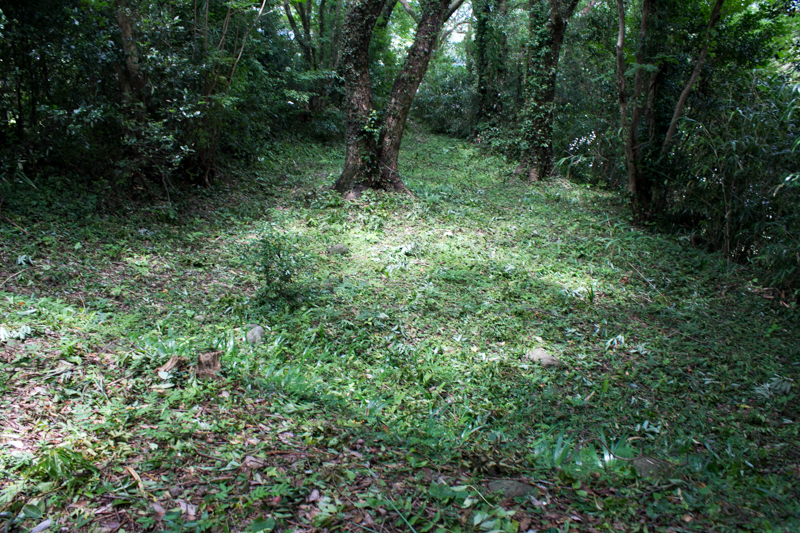 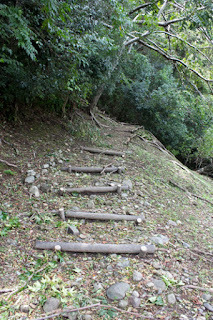 Hillside area is a square shaped one of about 100 meter long, which might be used as a residence of Aki clan but significantly reformed at Edo era. 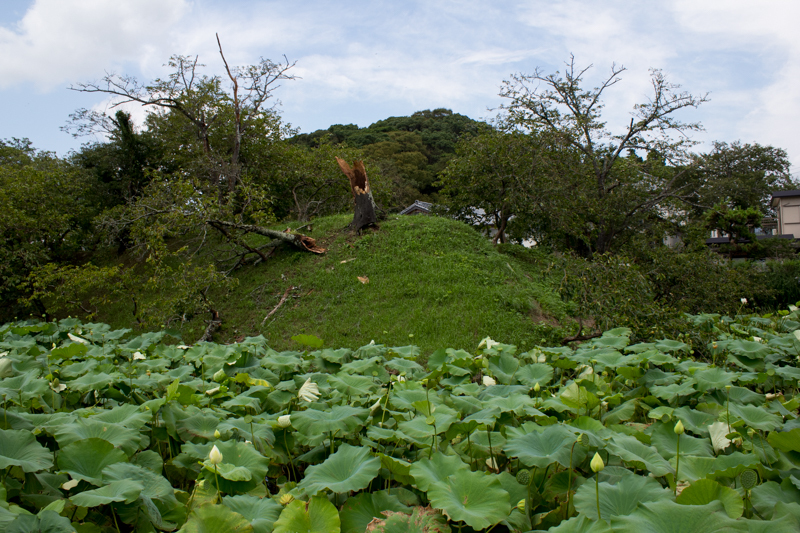 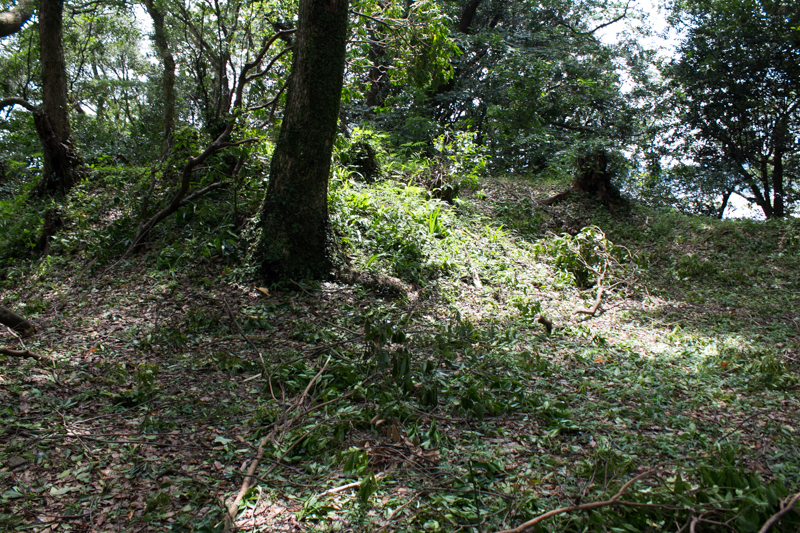 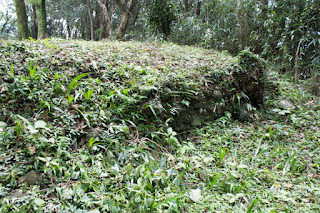 This hill side area is surrounded by combination of clay wall and moat, which becomes water mort at its southern edge. 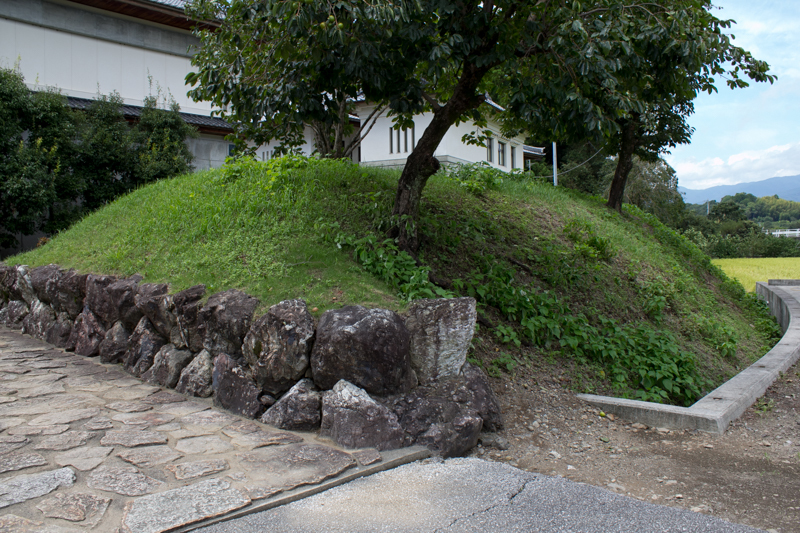 Central gate of hillside area is built at the middle of southern line, which is a Masugata style complex gate with stone walls at both side. 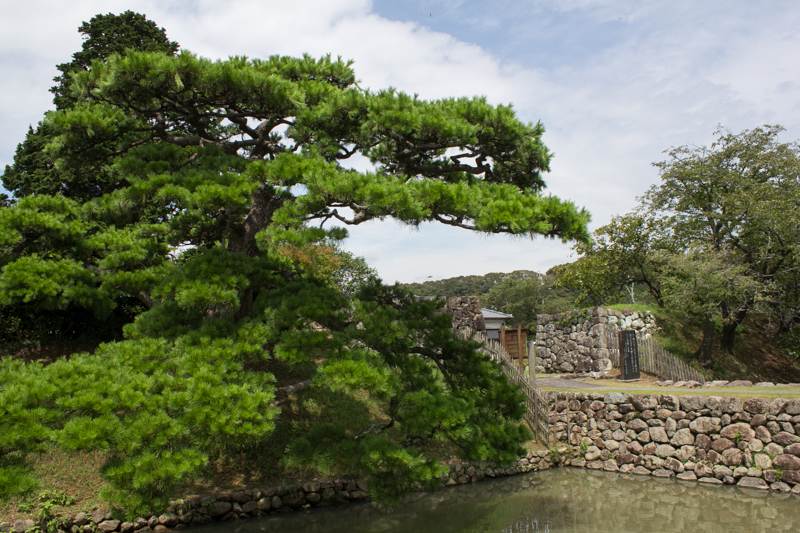 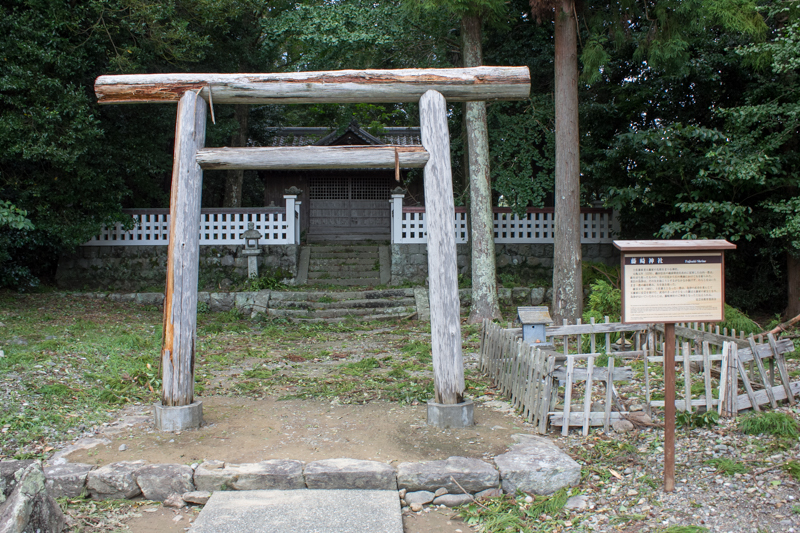 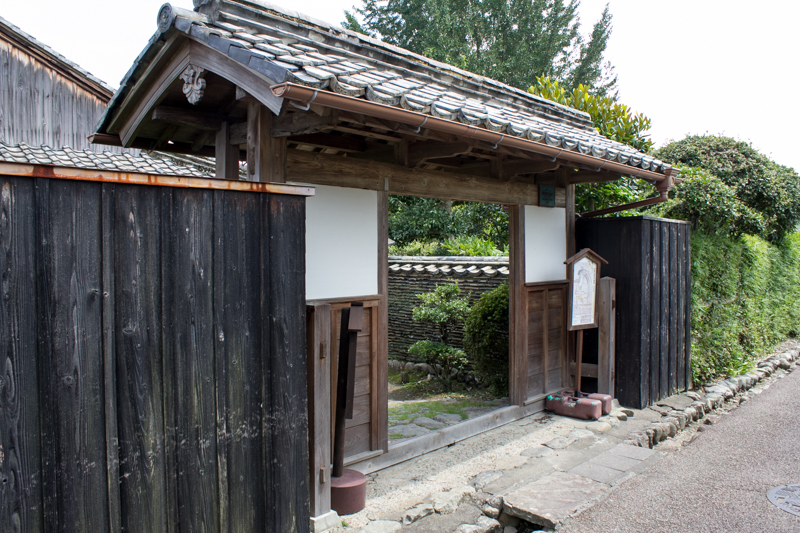 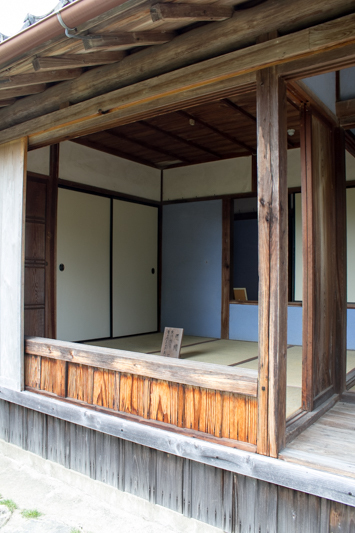 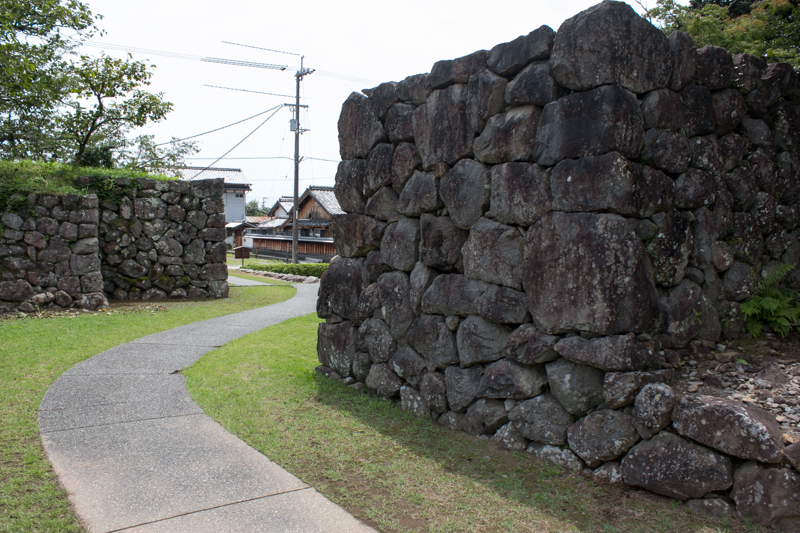 This was built to show the authority of the Goto clan, which became the commander of Aki area in later period. 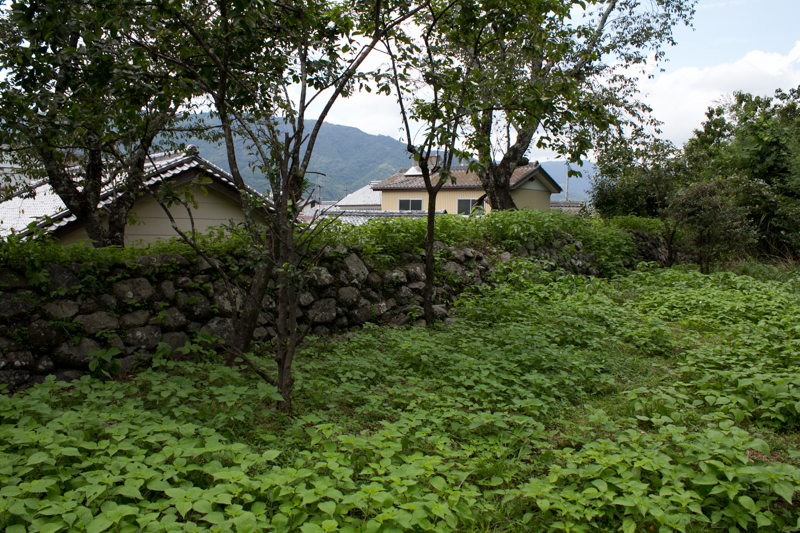 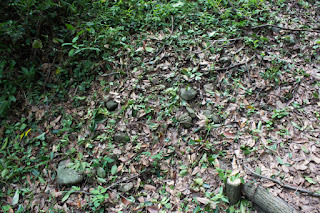 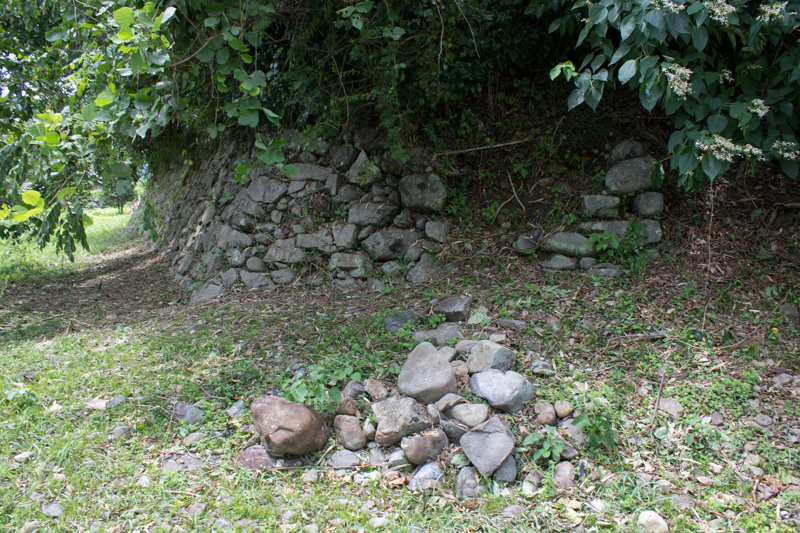 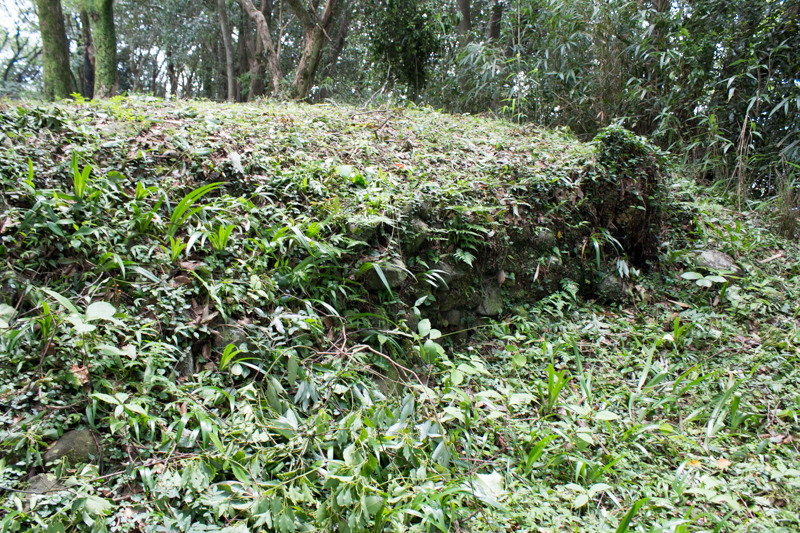 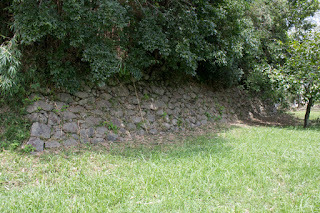 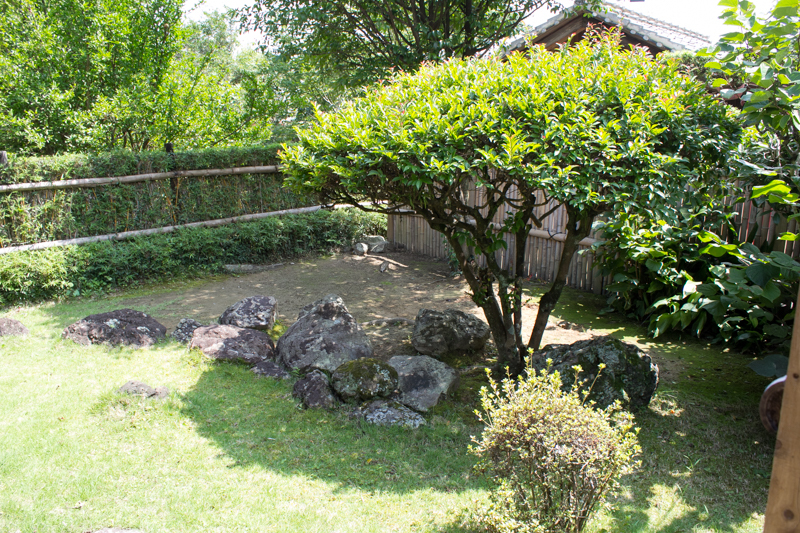 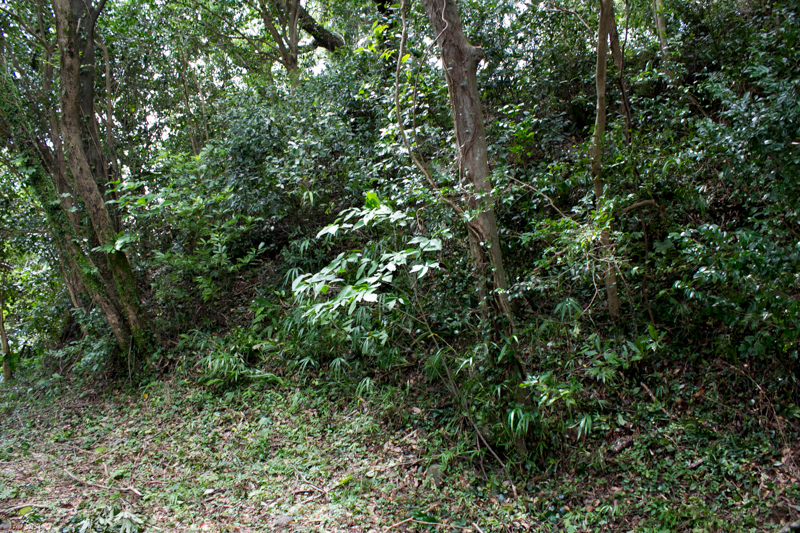 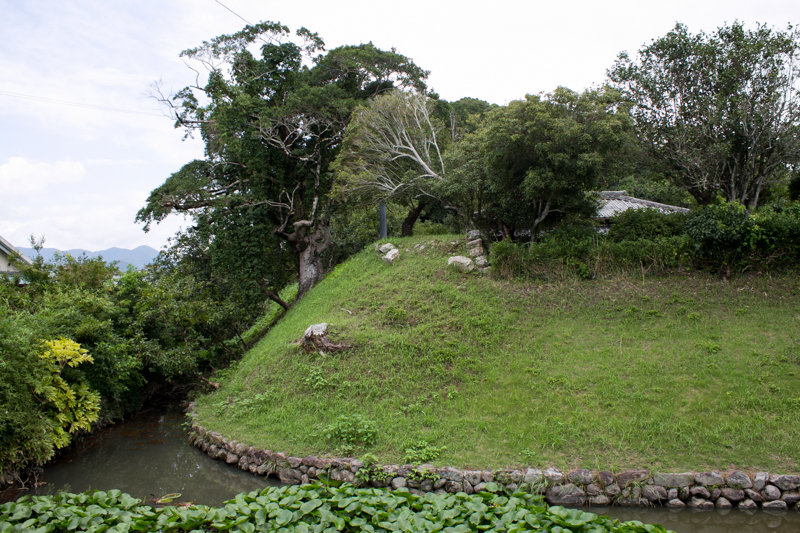 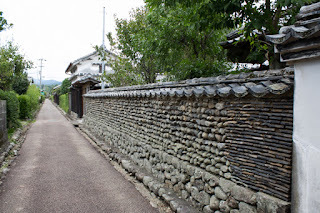 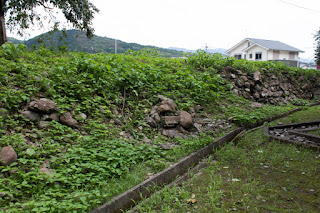 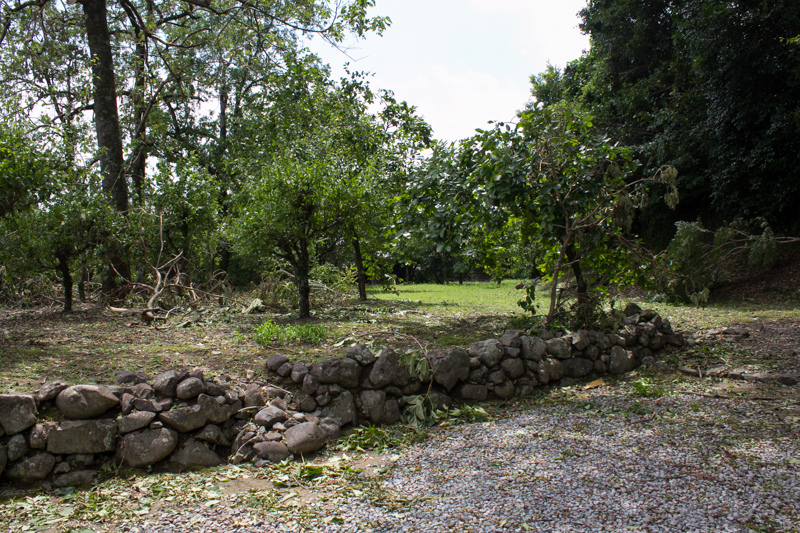 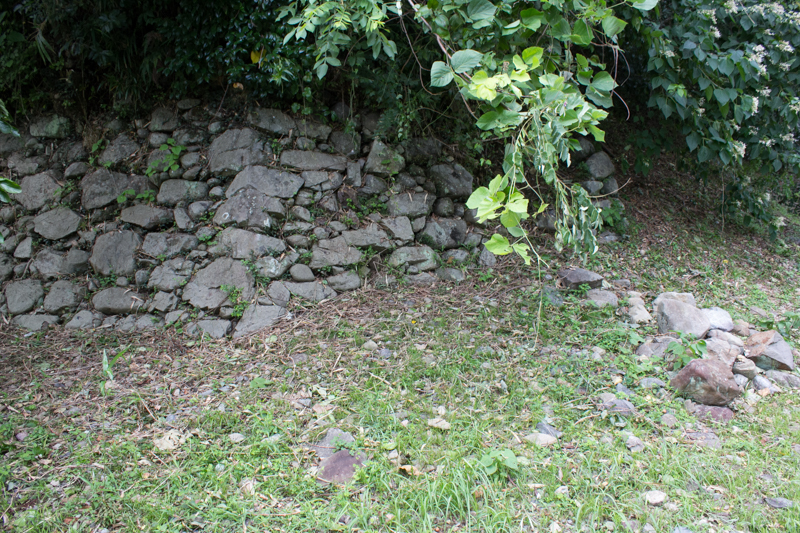 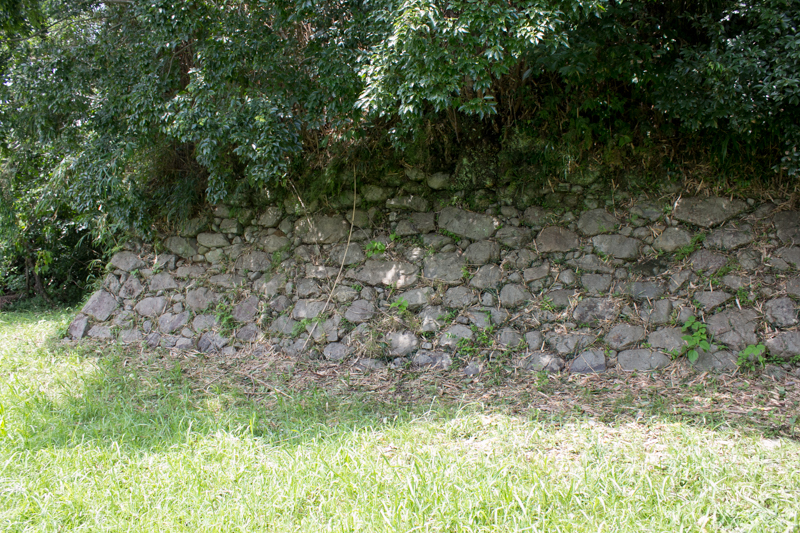 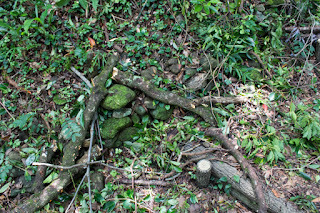 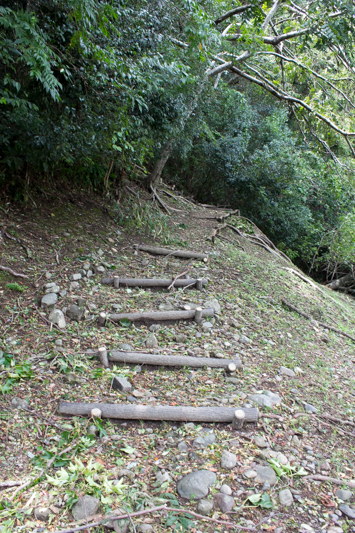 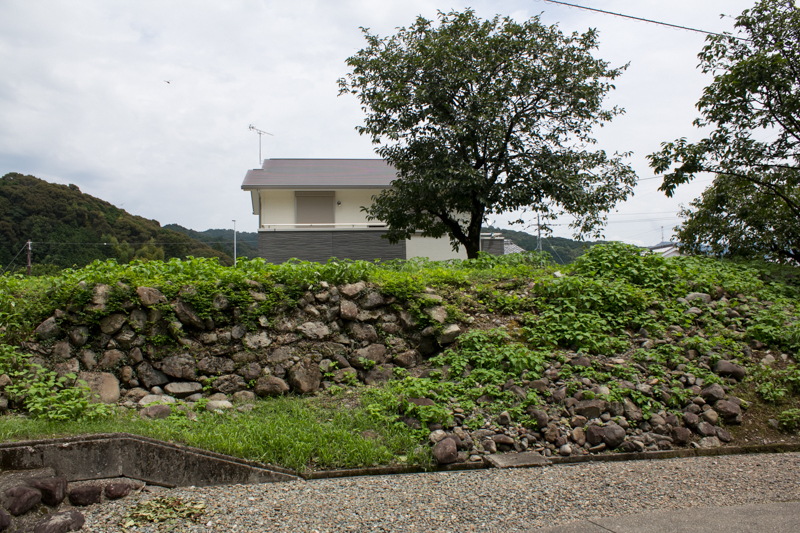 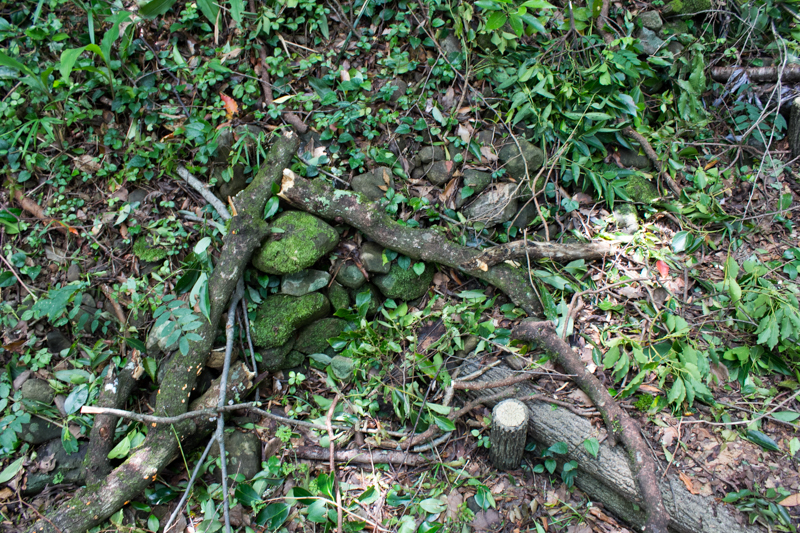 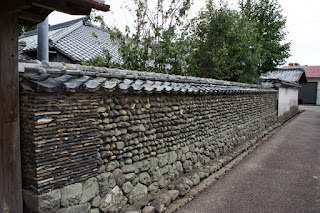 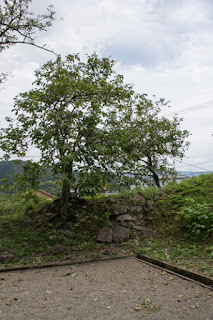 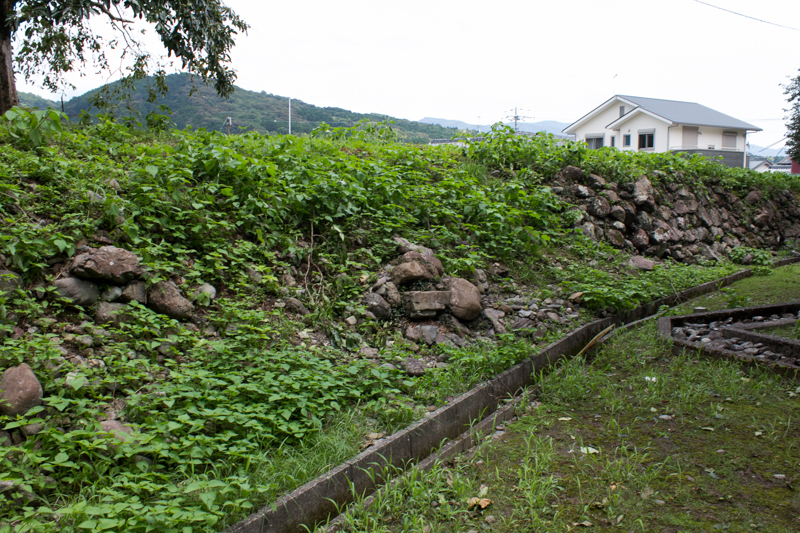 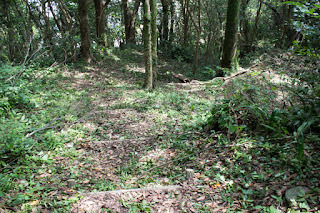 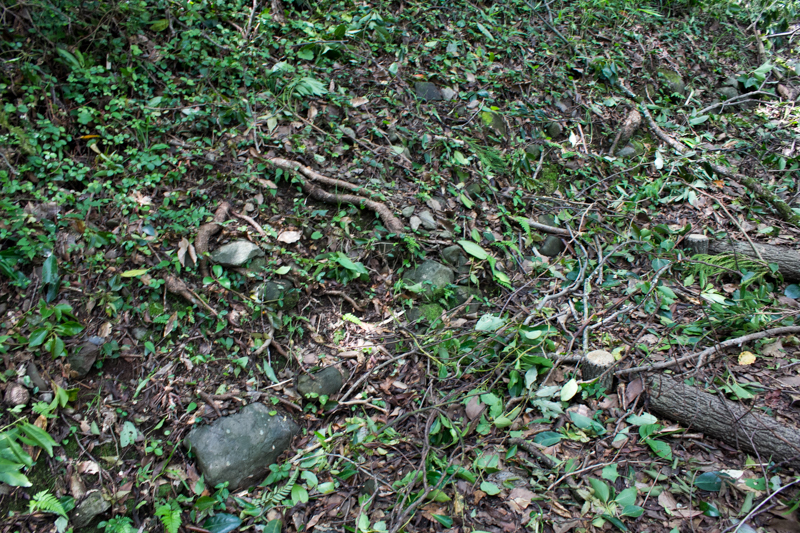 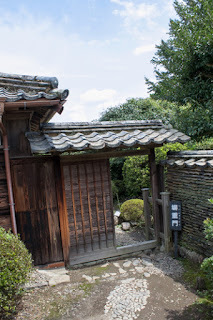 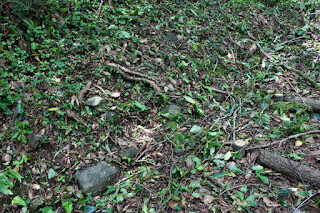 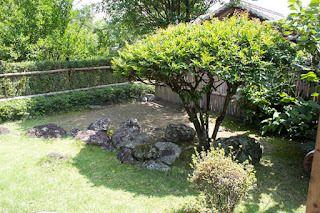 Stone walls covers southern edge of the hill was also built by Goto clan. 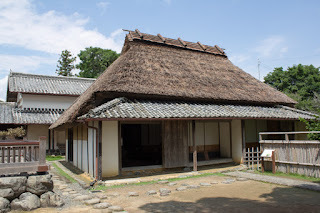 However, Motochika Chosokabe (1539-1599) who succeeded Chosokabe clan at 1560 easily broke Motoyama clan and let them leave from Tosa plain, and became the leader of Tosa plain. 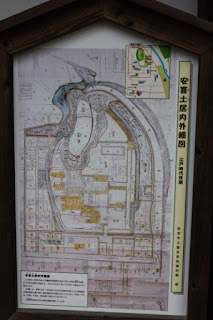 But at this point, Motochika had to cope with both of remaining Motoyama clan and Aki clan then moved busily toward east and west. In 1563 Aki clan attacked Oko castle which was the main base of Chosokabe clan utilizing the absence of Motochika who attacked Asakura castle of Motoyama clan. 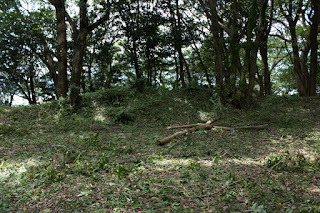 But Aki army failed to capture Oko castle before the brave fight of Shigetoshi Yoshida (?-? 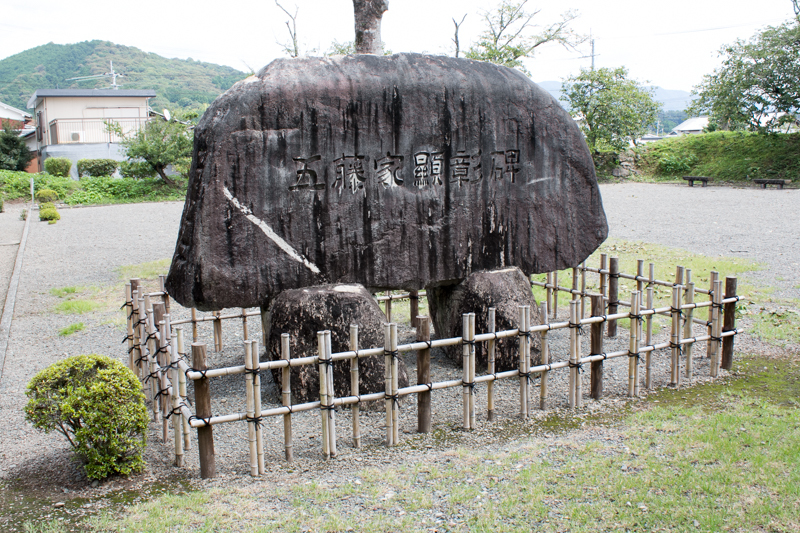 ), an important general of Chosokabe clan. 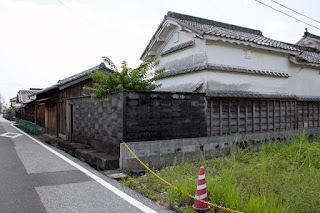 Just after that Motochika expelled Motoyama clan from Kochi plain and secured his western border. 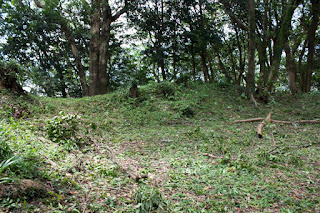 After this battle Aki clan once agreed with Chosokabe clan under the coordination of Ichijo clan, but the power of both clans gradually departed. 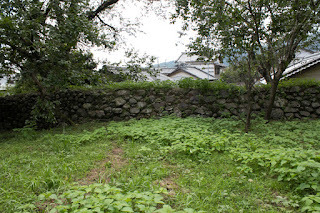 In 1569, fearing the growth of Chosokabe clan, Ichijo clan and Aki clan tried to subjugate Chosokabe clan, but Ichijo clan was too distant thus Aki clan had to face with stronger Chosokabe clan by their own. 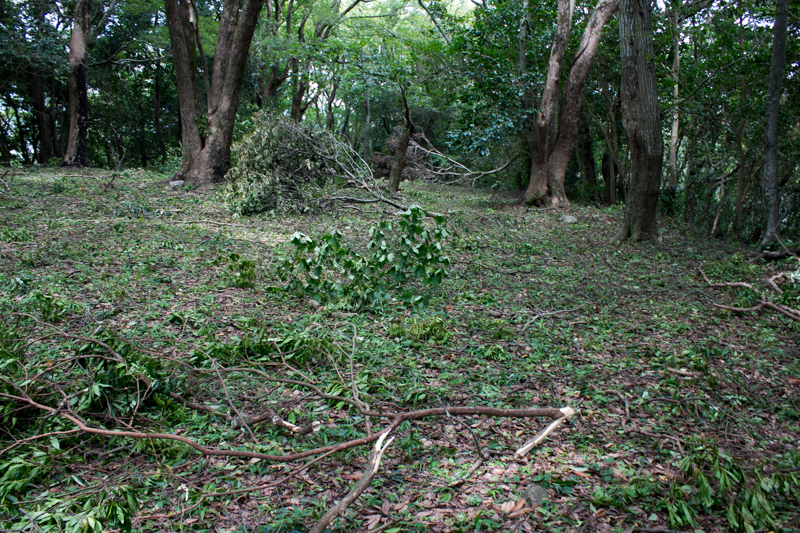 Once the battle between both clan occurred. 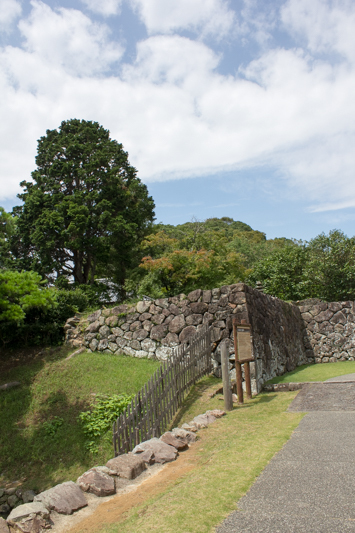 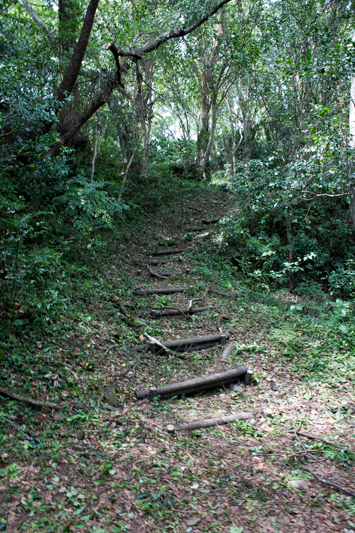 Kunitora Aki (1530-1569), the last leader of Aki clan, attempted to intercept Chosokabe army at Yanare area, a narrow entrance to Aki plain. 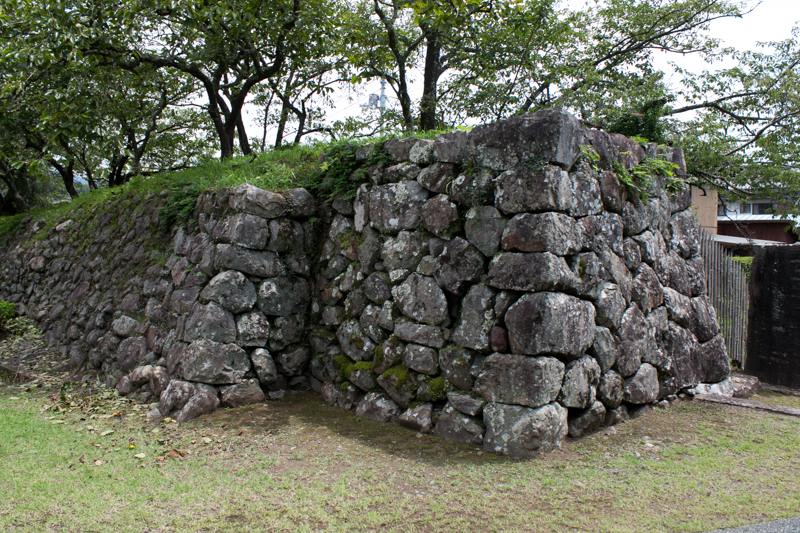 But because of the betrayal of retainers under the plot of Chosokabe clan, Kunitora could not stop Chosokabe army then retreated to their main base Aki castle. 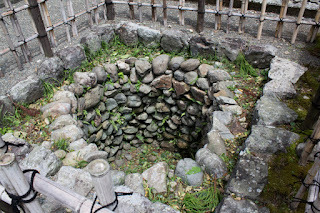 Kunitora firmly kept Aki castle over 20 days, but betrayed retainer thrown poison into the well remaining until now then Aki army lost their supply and water. Finally Kunitora opened Aki castle and killed himself under the condition to save their retainers, and Aki clan ended its history as a traditional local lord of Aki area. Motochika who captured middle and east part of Tosa province now planned to hostile with Ichijo clan, their benefactor but last obstacle to unite the province. After the fall of Aki clan, Chikayasu Kosokabe (1543-1593), the younger brother of Motochika Chosokabe who was adopted by Kosokabe clan became the lord of Aki castle. 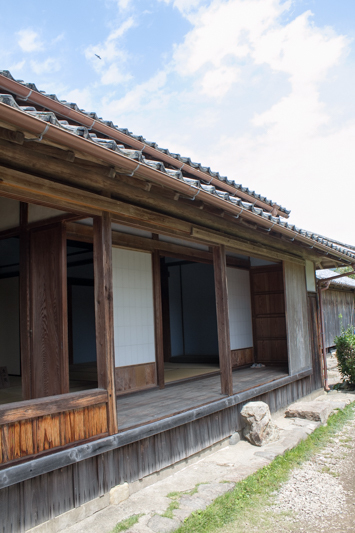 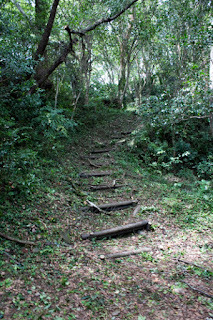 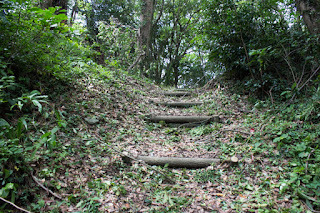 Utilizing this place Chikayasu Kosokabe became the window to communicate with central ruler Nobunaga Oda, and also vanguard to attack Miyoshi clan which held Awa province after the fall of Hosokawa clan. 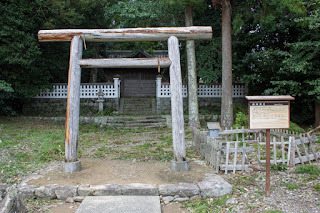 Under Motochika Chosokabe, Chosokabe clan once mostly united Shikoku island but was broken by central ruler Hideyoshi Toyotomi (1537-1598) at Shikoku campaign and lost captured territory. 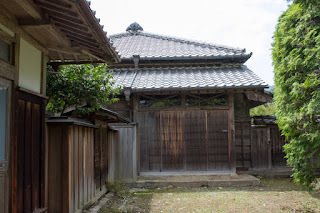 Furthermore, Chosokabe clan lost Tosa province as a result of the battle of Sekigahara occurred in 1600, and Yamauchi clan was appointed as the lord of Tosa province by Edo Shogunate. As an important place to manage the eastern border of the province, Yamauchi clan placed their important retainer Goto clan as a commander of Aki castle. Later Aki castle was abolished under Ikkoku Ichijo Rei (one domain one castle rule) published in 1615, but Goto clan kept their residence at the hillside of the castle and stayed at the administrator of the area. Now all building was lost but structure of the castle including beautiful main gate still remains. 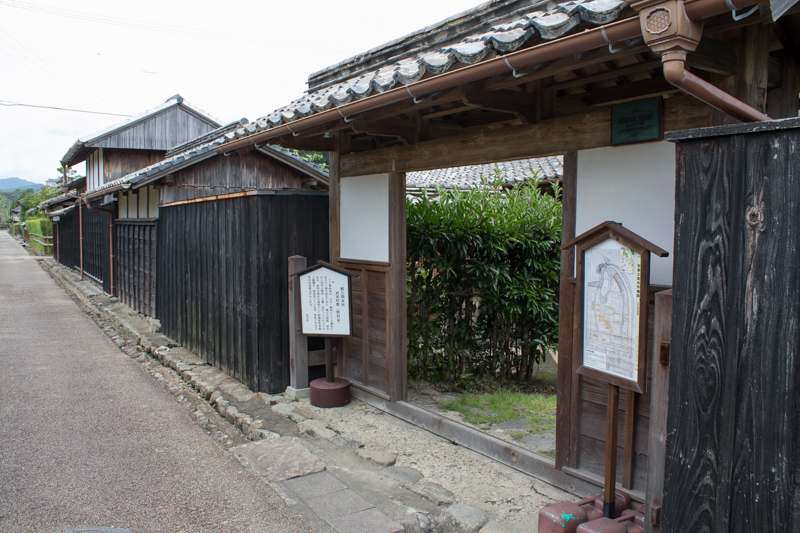 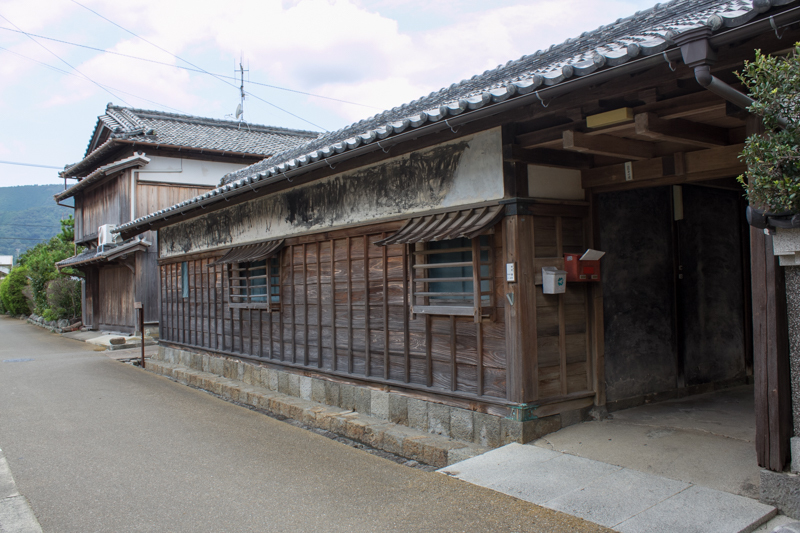 As castle town area exists inland area and apart from city central at the coast, old houses of retainers well remain around the castle, along with the birth place of Yataro Iwasaki (1835-1885), the founder of Mitsubishi corporation. 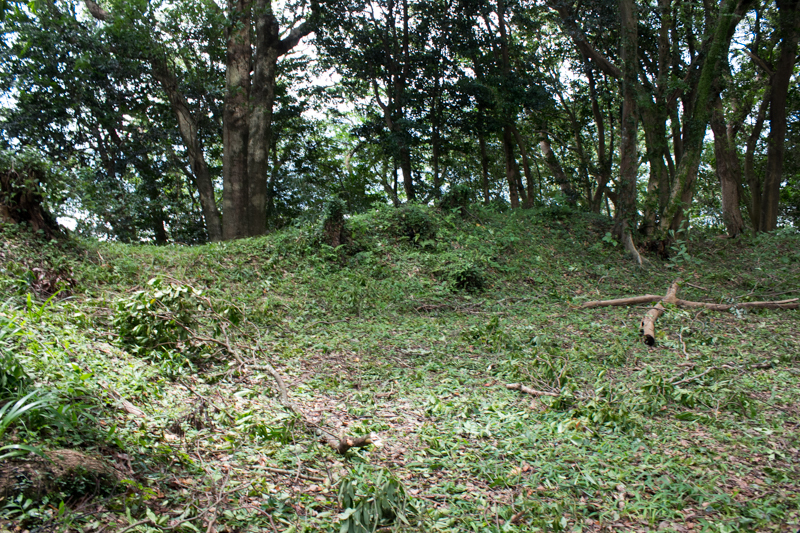 Currently hillside area of the castle becomes a castle park, and becomes the ground of two museums. 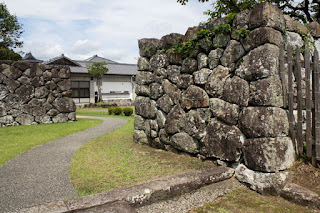 Even though at a quiet town, magnificent main gate of the castle tells the importance of Aki area and long history of former holder of the castle until now. 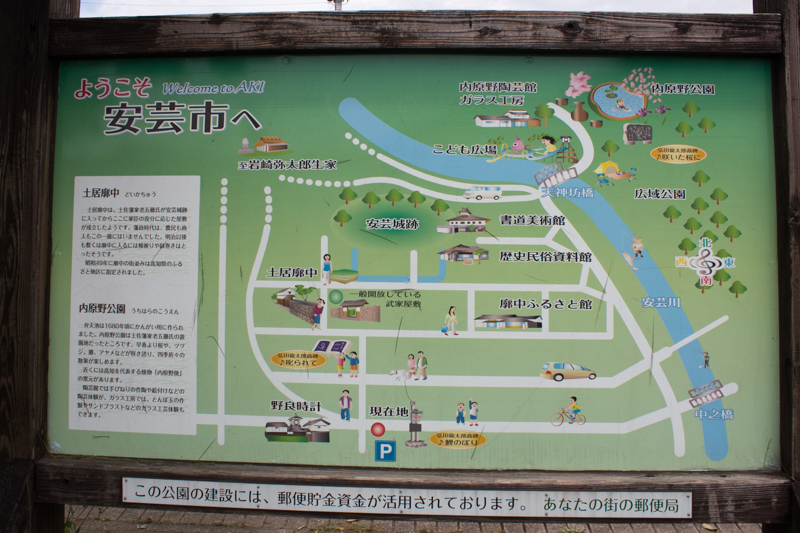 30 minutes walk from Tosa-Kuroshio line Aki station. 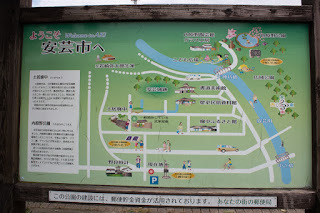 45 minutes drive from Kochi Jidosha-do Expressway Nankoku interchange.